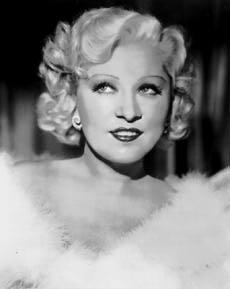 One thing you can definitely say about Mae West is that she came up with some quotable gems. A man's kiss is his signature. All discarded lovers should be given a second chance, but with somebody else. Anything worth doing is worth doing slowly. Between two evils, I always pick the one I never tried before. Don't keep a man guessing too long - he's sure to find the answer somewhere else. Give a man a free hand and he'll run it all over you. I didn't discover curves; I only uncovered them. I generally avoid temptation unless I can't resist it. I speak two languages, Body and English. I'll try anything once, twice if I like it, three times to make sure. It ain't no sin if you crack a few laws now and then, just so long as you don't break any. It's hard to be funny when you have to be clean. Opportunity knocks for every man, but you have to give a woman a ring. Those who are easily shocked should be shocked more often. When I'm good I'm very, very good, but when I'm bad, I'm better. Whenever I'm caught between two evils, I take the one I've never tried.